Special Olympics coaches inspire the greatness in each of our athletes by sharing their spirit and skills. In return, our athletes will help you remember why you love the sport and game. Regardless of your level of sport or coaching experience, you can be the role model that inspires a Special Olympics athlete to achieve greatness. 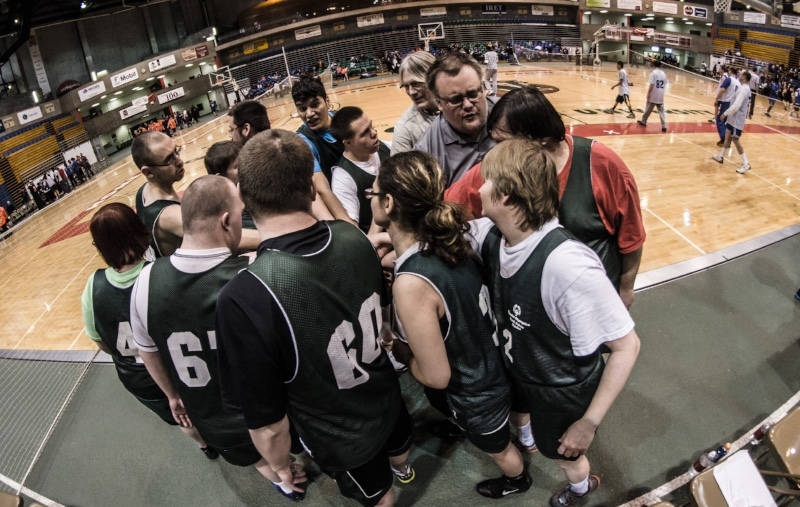 Whether you're a returning coach or just considering the opportunity to coach, Special Olympics North Dakota offers support and a rewarding experience. Often, Special Olympics coaches find that the personal rewards received are equal to or even outweigh the benefits they offer the athletes. Special Olympics coaches get to experience the way sports should be. Our athletes are excited to play, respectful of players and officials, and devoted to their coaches. With a little encouragement from a coach like you, these exceptional athletes can do anything. Promote fair competition at all events. Organize and conduct a sports training program. Teach all coaching staff and athletes the rules of the sport. Provide a safe training location, along with proper equipment. Teach life skills in a sports setting. If you have any questions or would like more information on becoming a Special Olympics North Dakota coach, please contact us by email at sports@specialolympicsnd.org or call (701) 746-0331.